Governance • Insurgency • Would Someone Explain This? Why Is ISIS the First Islamist Rebel Group to Claim to Resurrect the Caliphate? A 1911 map of the original Caliphate by American cartographer William Robert Shepherd. Via wikimedia. Why is Islamic State (ISIS) the first Islamist rebel group to claim to resurrect the caliphate? It seems like someone else would have tried this strategy some time in the past century, even with the risks associated. 1) Previous Islamist groups were (and arguably still are) products of national struggles and have a nationalist focus and nationalist objectives. The notion of a caliphate is transnational, eroding the very boundaries that movements like Hamas, Hezbollah, the FIS (Algeria), and even arguably the Taliban, sought to either liberate or preserve. 2) Previous Islamist groups were focused on driving out or defeating the crusader/ colonial infidels, not the Shia. 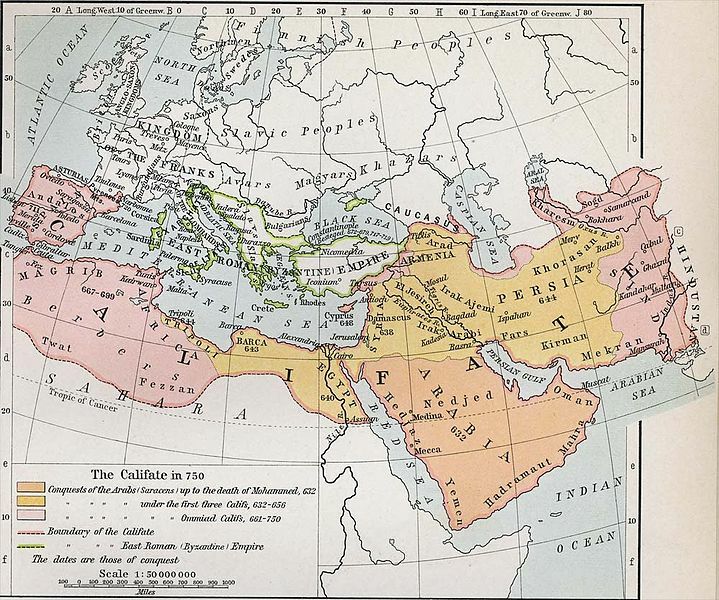 The caliphate was associated with the earliest period of Islam, but it is also associated with the Shia, Sunni schism. This history is being reconstructed in the present as part of the struggle in Iraq and Syria. I cannot stress enough how modern this reconstruction of sectarian strife is for most of the region. The rifts were there but the frenzied jingoism around the “Shia” threat in predominantly Sunni countries is really new (I am still having a hard time getting my head around some of the stuff I hear). So there is a contemporary purpose for this reincarnation that didn’t have relevance to the struggles in Lebanon or Palestine. 3) Not many people want to live under the caliphate and smart groups know it. The extremism and brutality of da’ash is really off-putting to your average guy on the street. They don’t see this as legitimate resistance very far beyond the really radical fringe. Smart groups know that the national-religious combo allows for cross-cutting alliances; these guys leave no room for the aging, Christian Marxists who stand up and cheer (with whiskey in hand) when Nasrallah rails against the Zionist entity on satellite TV. 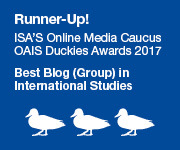 To what extent is this modern reconstruction of the Shia/Sunni rift driven by politics (the Iran-Iraq war, opposition to Iran among the Gulf states’ leadership) and social trends more generally (people start talking about the Shia threat, the idea takes root in society, clerics can advance their careers by harping on it…)? Taylor! Was that a question or an answer? Yes, its driven by politics but ones that I think are more recent than the Iran-Iraq war and more a product of the dissolution of Iraq post 2003 and the prospect of a rising tide of Shia influence. This is when the Shia crescent business started creeping in more noticeably. Vali Nasr puts this earlier and suggests this is a more enduring trend, and that may be accurate for the perception inside Iraq – especially after the first Gulf War and the uprising in the south that was crushed afterwards. 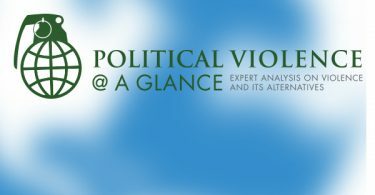 What I am seeing is the extent to which its filtered into the discourse in countries that are almost entirely Sunni –I think it speaks more to the general uncertainty and reorganization of the distribution of power in the region that’s behind the feedback loop between radical sunni entrepreneurs and the public discourse. One of the expressed goals of al Qaeda was to reinstate the Caliphate along the Ottoman Empire’s borders. Of course, Former Iran’s leader, Ayatollah Khomeini, and Mullah’s in Iran were the first Islamist group who claimed a Shi’at Caliphate after 1979 Islamic revolution named “Vali-Faqih” . Now, Ayatollah Khamenei, recent Iran’s leader, claims that he’s the leader of whole muslims in the world and they must obey him.